You could/should be a spokesperson, Super Girl. Thanks for the mid-morning chuckle. Love!!! I may have to get me my own pair although I love the “just breath” socks you guys sent me in one of your wonderful care packages. Ha! Sorry. I hope you got Melissa something nice. Dazzling, simply dazzling! And riveting too. LOVE THOSE SOCKS!! 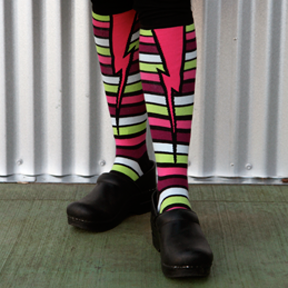 I’m getting me some lightning bolt socks. It’s hard to find good quality knee socks! 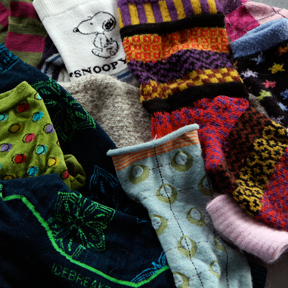 I just ordered 5 pairs! You should get some sort of bonus from the company!